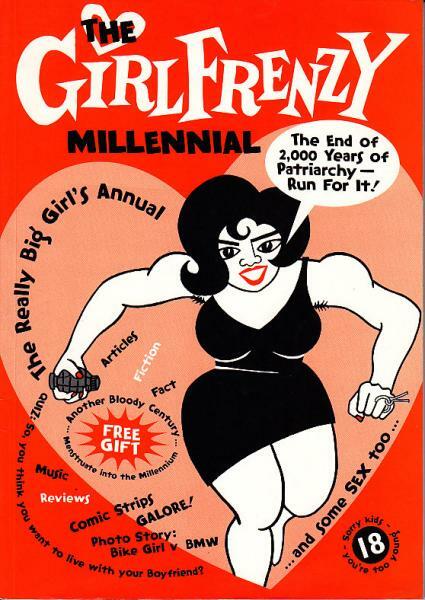 "GirlFrenzy zine has been published since 1991 and has always been a popular and unique forum for the work of comic strip artists, women musicians, riot-grrrls and anti-censorship feminists. Ideal reading matter for Grown-up Girls and The Odd Boy". Erica Smith, founder and editor.